Someone recently wrote to me and said, "I believe humans have infinite value. I believe I am an expression of experience and that the root of my consciousness, the root of all my energy, like an apple connected to a tree of life, is an extension of God. Just as you can touch an apple still connected and say, "This is an apple tree, " I am humanity. And just as you can point at that apple as an example of the creation of nature, I am God's creation. I believe I have infinite value because I believe God does not make junk." I picked up on the key words, "still connected," as in the apple being the apple tree if it is "still connected." I believe there is a condition, but the connection is different. So, I answered in reply with what I believe about this connection and its condition. I hope you get something of value out of it. I believe God is the Gardener who planted the apple tree, not a tree of life, but the tree of life. 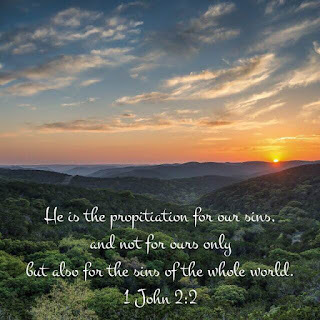 Without Him, there would be no apple tree, no apples, no soil, no water, no nutrients, nor sunlight. Nor would there be anyone to admire the beauty and fragrance of the tree and its fruit. I believe that tree, which was the highlight of a full and diverse garden, was perfectly started. We started as the apple of His eye. But then, two apples, a male and female, decided they did not need the tree in order to be fruitful. "Look how delicious and nutritious I am! The worm told me so. Why has this knowledge been hidden from me?" They proudly exclaimed this as they pulled themselves loose from the branch by which they were attached to the tree. The two apples suddenly realized what they had done as they fell; it was a suicide mission. The gardener had warned them, but they did not value His wisdom more than their own. Since then, all apples have fallen to the ground and continue to fall. 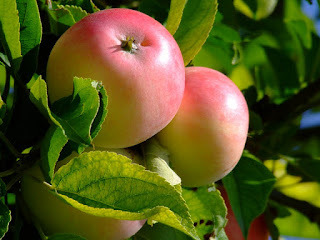 Sure, they carry seeds to reproduce themselves apart from the tree that is their true source, so there are many apples. But life without connection to the true source was empty, temporary, and meaningless. They constantly attempted to make their own ideal gardens, but not all apples agreed what this meant. Some gave up. Some smashed other apples to get their way. Groups of apples, called breeds, began to isolate and form boundaries to protect themselves from unwanted outside influence of other breeds that differed in so many ways, some being superficial. But, this also had the unwanted affect of keeping them confined, requiring rules and structure that further dampened their individual spirits. Some fruits prematurely spoiled and rotted, taking others nearby with them. Not only were there distinct breeds, but there was a growing perception of good and bad fruit. With that perception came judgment. With judgment came action. The breeds felt the need to protect themselves from their own kind as well as outsiders. But, by labeling these "bad apples" in such a way that "kind" has little to no part of their identity, it was easier to cast them out of the garden. Reconciliation was not the goal; longevity was. Getting was. Then, the garden could maintain the appearance of being good and fruitful. It could justify itself, and detach itself from problems it could not solve. Other than those first two apples that grew from the original tree planted by the Gardener, before they fell (or rather, jumped), none sought the Gardener for wisdom on how to get back to Him. Several know He planted such a tree. Yet, they preferred to invent a tree from their own imaginations, and worship a product of their own doing. Surely, this experience seemed wonderful. But, they did not know the Gardener, or realize He has a much better plan. They did not listen to Him. They figured they already have what they need. Besides, by now the Gardener must be filled with unquenchable wrath, they thought, because He's been ignored. To seek Him would have to be a constant appeasing of this wrath, they reasoned. In the meantime, the Gardener had compassion on the fallen fruit. He knew what they truly needed. He greatly desired it for them. He knew they can't sustain themselves forever. He didn't want to put a band-aid on the situation and simply repair their gardens, though that's what the apples continually ask for. He joyfully wants to give them a new life altogether. But, neither does He want to force a solution on them. That wouldn't be fair and true to the apples. The Gardener decided the apples must come to realize that life would be in them only if they were attached to the Branch of the original tree, and that He would pick them up and secure them there if the apples let Him. The Gardener's job, then, was to persuade the apples of His solution; a miracle was possible. He chose to come down to the level of the fallen apples and speak their language. He would even give a precious piece of Himself to demonstrate wonderful miracles to clearly show He was the source of them. Perhaps, they would listen then. Still, many apples refused to believe the significance of these miracles, or that they even happened at all. Some were even angered by this demonstration because it interrupted their own solutions and plans for the apple breeds. Many refused to even acknowledge the existence of the Gardner and convinced others of the same. I believe in the Gardener. I love the Gardener. I seek to know Him and the Branch. I believe I have infinite value in Him. Without Him, I don't know, and can't fully know, who I am. I believe I don't get to decide what tree the Gardener planted, or from which Branch I am to blossom. He needs to tell me and I need to listen, otherwise, I'm merely kidding myself. After all, it's His garden, His design. I believe the Gardener is worth listening to above all others. I believe without Him, my perceived value of the whole scheme of things is severely diminished because my vision would be severely limited. I cannot develop a bird's eye view from ground level. How can I get a God's eye view without His Spirit? I believe humans are products of their own gardening, spreading seeds apart from the Gardener, even though His garden is where it all started. In these separate gardens, some apples go bad. Sometimes the entire garden goes bad. Most apples never reach their full potential. All gardens have such apples and hence a garden will never reach its full potential, except the garden planted by the Gardener. Where there are gardens, the will of weeds is never overcome. We've made a mess of what we've been given. We cannot even imagine what it could have been. We seldom try. The best we can do is settle for the mere humanity we are, hoping to practice and spread empathy and compassion. When we do, we think we're ahead of the game. We do not realize how short of the Gardener's vision we fall. Instead, we think, "This is the hand I've been dealt." Let us make the most of it. Some think they discovered their life's purpose, but few have. Most know they haven't. Many give up on thinking there even is a purpose and vision at all. They are too proud to admit defeat and grasp the Gardener's hand that is so lovingly reaching out to them. Many see the messes the apple breeds have made and blame the Gardener. They do not know how pure are the motives of the Gardener. Some feel pushed to accomplish great things, but they don't know the source of it. They may call it God, and it may very well be. But, they do not seek to know God as a person. I believe He, God, the Gardener, is my Father and I am His son, and that Jesus Christ is my brother. I am not the apple of His eye, I am His eye. His Spirit is in me. Yet, this was not my own doing. It was not according to my terms. This is His will for me. I believe the same offer is made to everyone. Where do I get these ideas? Directly from His word. I miss our quiet mornings together. My cup overflows when You pour Your love into me. You pour Your love into me the most when I turn humbly to You. Yet, sometimes I choose to sin. I know this grieves Your Spirit. Forgive me. I claim that if I do not feel loved [specifics omitted], I have an excuse to act out. I have no valid excuse to turn away from Your love. Rather, let Your words be refreshment for my bones and, as I delight in You, may You give me the deepest desires of my heart, which are more of You, always. Note to reader: I purposely omitted the specifics of when I didn't feel loved and when I sinned. Plus, I substituted 'act out' for exact terms. Those specifics and exact terms are mine. They're personal. You may or may not have related to them. That's not the point. What I learned for myself here was to become aware of these conditions and actions in a new light, and then to hold every thought captive to Christ before I make excuses and choose to sin. My Lord and my God, my Father. Your grace and beauty are in all the earth and the whole universe. I adore your works. Yet, they are merely a glimpse into Your Person; surely Your thoughts and ways are higher than mine, and Your love is deeper than I could imagine. Therefore, I am humbled. No doubt Your mercy is deeper than the pit in which You found me, sought out by Your patient love. Christmas 2016 - Do you believe in Miracles? I do! For us to have this gospel of Christ, it is a miracle. It is a miracle because the things that are spoken of in bringing this gospel to us are miraculous. We are not going to look to science to explain or reason with our logical scientific minds. If you believe the gospel, you do believe in miracles and you know God orchestrated those events. Yes, God has spoken, He has entered our time and space and left very large footprints for us all to see. Of course, it is your choice to see what you want, and ultimately believe what you will. This Gospel makes me glad. I’m glad there is a response to the “why” questions we all have had in our minds. I’m glad God did not leave us to figure things out on our own because of course, we’d be prisoners of our own foibles. I’m glad that God has a plan and in that plan, salvation is offered in grace. I’m glad God is good. 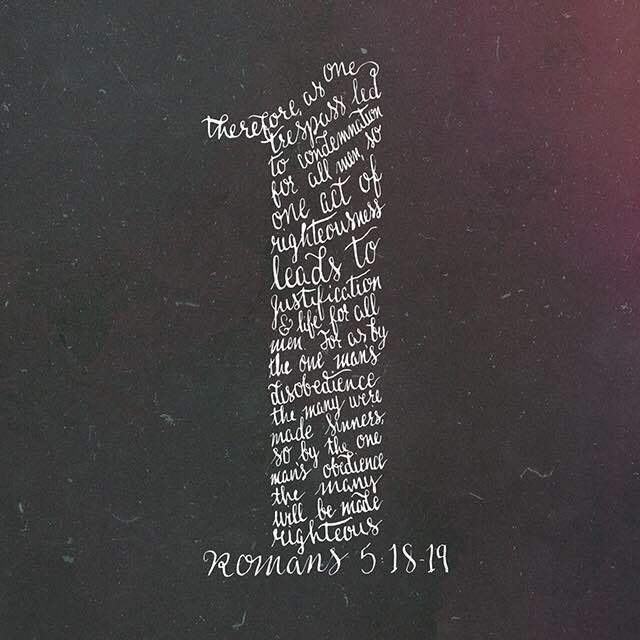 That means, God is righteous, just or simply put, divinely fair. And, that is not just important to me, it is important to God Himself. Christmas then, is a time for us to reflect on God and His amazing plan. The “how” of the plan is detailed for us in ways we can all see in the gospel narratives. We can see God, His workings, intentions and His heart of love. We can see the omnipotence of His promises and will, fulfilled in the human frailty of a newborn babe. Christmas brings God so close to us, we can now identify with Him in the most intimate of ways. We can now see Jesus, “who being the brightness of His glory and the express image of His person, and upholding all things by the word of His power, when He had by Himself purged our sins, sat down at the right hand of the Majesty on high” (Heb 1:3). What you do on this Christmas day is up to you. I’d suggest you take a moment to thank God. “Thanks be to God for His indescribable gift!” (2Cor 9:15). Thankfulness is the result of a heart that can clearly see God. Thankfulness is recognition of God’s goodness, His love and His grace. Jesus tells the story of the 10 lepers who were healed, and told to go show themselves to the Priests to be allowed back into society. Well it was a miracle for sure; they were ALL healed. However, only ONE returned to Jesus in thankfulness! This did not go unnoticed, “So Jesus answered and said, "Were there not ten cleansed? But where are the nine?” (Luke 17:17). So, the thankfulness in his heart acknowledged the miracle, but also God and His plan. Thus, this one Samaritan leper received the greatest gift of all, "Arise, go your way. Your faith has made you well." (Luke 17:19). Message from Dwight: I went a day without checking email. Whew! That was tough. And then I open this one from Doug,, my pastor/teacher, this morning. Nevertheless, I hope you enjoy this belated Christmas message. I will continue with my own Letters to God and journal entries in the next post, probably one from 12/18/2011. Here's an unusual post for you: genuine sermon outline notes from the church I attend remotely by conference call, Word is Truth Christian Church. I hope the notes and Scripture references give you a small taste of what the message was all about, and a small taste of the goodness of God. "Word is truth" comes from John 17:17 which says, "Sanctify them in the truth; your word is truth." We took a break from our usual study of Titus for this special, seasonal message. Please reply or leave a comment if you would like a link to the recorded sermon, if you have any questions or comments about the message, or if you'd like more information about participating in this weekly conference. The church is a virtual assembling of the saints with the purpose of learning the deep thoughts of God headed by Pastor Doug Presley. Messages are available on Dropbox upon request. Doug Presley says, "follow me as I follow Christ," on Twitter as @charislife. One point to make is about Paul’s attitude before the Father in prayer. Even though he has a ranking position in the Church [as an Apostle], notice he kneels before the Father. Kneeling is not just posture; it is an attitude of humility. It is an attitude which gives open recognition and respect for our eternal God and Father. It says we are creatures from His hand and we have an abiding appreciation and admiration of His majesty. It further says we willingly submit in total humility to this One who is all wise and powerful. Kneeling speaks more of our humility than it does posture. It says we know His plan and willingly present ourselves before His wisdom to use us as He sees fit. It is to abandon our agenda and place ourselves in the loving hands of the Father, willing and ready to act according to His will. We are not to give ourselves to anyone or anything like this in this world. We are not to bow to earthly rulers or angels because this type of worship and surrender belong only to the Father. We are free to have this attitude anytime we approach God, whether kneeling or sitting, whether walking or driving in a car. We can approach the Father with the reverence and honor He deserves. (Luke 1:37) For with God nothing will be impossible. Faith is our eyes to see God. Of course, you know that God is invisible to the world generally speaking. There have been some exceptions where God has chosen to make an appearance in the world. Imagine that, there is physical, tangible evidence that God does indeed exist, and more than that, He wants us to know Him! This Christmas season, stop and breathe in the wonder of almighty God visiting us in such a personal way. “And the Word became flesh and dwelt among us, and we beheld His glory, the glory as of the only begotten of the Father, full of grace and truth” (John 1:14). a. Learn to consider God! c. The Christmas story is filled with impossibilities—BUT with GOD…nothing! a. Mary’s perfect response: "May your word to me be fulfilled." b. Merry Christmas! Yet another opportunity to celebrate God, don’t miss it! We're not moving anywhere, Father [I was thinking of moving my family to another state due to a possible change in job]; You have given me work to do and this is the place to do it. You have set me free from cares of this world. I am physically close enough to Doug and church [Word is Truth Christian Church] to visit. I have an office to which I can go to concentrate on work and even on You [because I would arrive before others and enjoy the quiet time]. I do not have a house to maintain with all its bills and worries. I just have opportunities to pitch in once in a while. You have set me free from the pleasures of this world. Things are starting to calm down at home. [Sentences deleted dealing with earthly pleasure and certain others. I had a tendency to try to force what I needed to feel loved, such as deep conversation about doctrine. I was learning to let go of getting my needs met through artificial means, and let others be themselves.] I am seeking less to get validation, affirmation, respect, and [pressured] expressions of love and spirituality. So what if I don't feel loved by [the people I expected to feel loved by]? You love me. So what if I don't connect to them spiritually? Likewise, religious leaders rejected You. So what if talk [in familiar places] is shallow and without desire for depth? You know there are seeds that fall along the path. So what? [What can I do about someone else's choices?] You have set me free! In the end, to move now would be a major disruption in my own spiritual growth, as well as others with whom I am interacting. Plus, would there just be a whole new set of long term problems? My adjustment to working remotely all the time, school and homeschool, my spouse's work, new friends, new support groups, new church, different travel requirements and opportunities, etc. Therefore, I praise You and thank You for your wisdom in carefully planning my circumstances. Let me be at peace with You, and feel Your love, peace, and joy in my heart. I once talked about my cup overflowing. Let me know beyond a shadow of a doubt that such is the case again and always will be. Sorry! I edited this piece by adding commentary or substitute words [in brackets] to explain what is not being said, or removing references to specific people. I don't mean to say anything hurtful. Rather, I hope I've been able to maintain the essence of what I'm trying to say from my heart so it benefits all. I left the real first name of my pastor and the full name of our church. Thank you for reading. I love You so much! Why do I not write to You every day, each morning? In what better way could I start my day? You are in my thoughts often. I wish I could say "always." Father, I need help. I need Your help to resist the temptation that so often ensnares me. You know what I mean. It even becomes my first thought when thinking about others, instead of being excited and joyful about the opportunity to give someone the gospel. Help me to forgive myself, also. Help me really make a change, a 180-degree change, to turn away from my own lusts, lusts of the flesh, and run toward You, like a marathon runner, or at least crawl toward You in deep humility. Grant me wisdom, Lord. Grant me a submissive and humble spirit to think about and carry out Your plan. I pray that You would grant the desires of my heart, the deep desires, to delight in You with absolute delight, songs, psalms, and poetry of praise. Then grant me the courage, Lord, that I may boldly speak and write these things to strangers, as well as friends, that they may be my brothers and sisters in Christ. I am not using my time wisely, I fear. I'm not focused as if there is one thing much more important than anything else. I pray for a focused mind and a still heart, focused on You and humble before Your Spirit. Let me rejoice in You always. Let me pray without ceasing. Let me put on Christ, the whole armor of God. Let me always be prepared to give a reason for the hope that is in me. Let me love you and others as you have loved me. Who is stopping me? Who is sabotaging my efforts? Who is in my way? I am! How do I get out of my own way? I stop conforming to the patterns of this world and be transformed by the renewal of my mind, be sanctified by the truth, which is Your word, and be filled with Your Spirit. How do I do those things? Humbly show up! Intentionally place myself at Your feet and choose the one thing that is truly necessary: listen to Your teaching. Help me do that, Father, please. The letter above is one of hundreds in my journals written to my Father in heaven, the Father of Jesus Christ. The one here is the first I've publicly posted. My hand-written letters are short because I have essential tremor and it takes a long time to write clearly and neatly. Yet, I hand write them because I deliberately want to take my time and go slowly. I decided to share these private prayer letters with you, one at a time. My hope is that by being transparent in my own spiritual journey, you will be encouraged in yours. 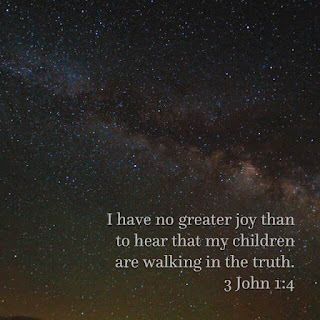 I want you to see my joys as well as my struggles. I want you to know that there are some real people, vulnerable and genuine, who try diligently to seek God and "come to the full knowledge of the truth (1 Tim 2:4). I think this particular letter is relatively recent, but I forgot to include the date. I'll try to include the date going forward and I may come back and edit this post if I find the original entry. These letters may have been edited a bit to correct some grammar and/or clarify the intent. Lastly, my content is often making implicit reference to Scripture. For example, "stop conforming and be transformed" is from Romans 12:2, being "sanctified by the truth" is from John 17:17, and "choose the one thing that is truly necessary" is from the story of Mary "who sat at the Lord's feet and listened to His teaching" and Martha who "was distracted with much serving" (Luke 10:38-42). Unless otherwise stated, all Bible verses are from the English Standard Version (ESV) unless otherwise stated. I welcome you to enjoy a piece of my heart. Please leave a comment if it touches yours. I want to apologize to my non-Christian friends. To be clear, I'm apologizing on behalf of a group of people that doesn't even realize it needs to apologize. Yet, they are all loosely connected by a title that should mean a lot more, "Christian." I'm sorry for the unkind and horrible things said and done by many religious hypocrites in the name of Jesus Christ, who would never commend or condone such behavior or attitudes. Those people have given Christians a bad name. I'm sorry if it's challenging for us to be close friends simply because the label I apply to myself, "Christian," associates me with self-righteous religious organizations or shallow worldviews that are often self-serving, proud, hypocritical, and judgmental. For they have given Christianity a bad name. I'm especially sorry if you are offended by Christ not because of what He said and did, but because of what others who claim to be faithfully following Him arrogantly declare as justification for their own moral superiority. How can one come to Jesus to learn from Him, who is gentle and lowly in heart, when He is presented along with God as being harsh and cruel? Indeed, why would anyone come to Him then? But, that is not the way I learned Christ. I wish to share what I've learned from Scripture that's actually quite refreshing. I could remember thinking after some sermons, "How could the good news sound so bad?" I learned if the good news does not sound great, it's not the gospel. I don't judge you or condemn your beliefs. On the contrary, I respect whatever faith and lifestyle you choose. Your choices are your responsibility, just as mine are my responsibility. All are welcome! I'm simply asking for a chance. I'm pleading for bits of your time as I post herein. I've posted a lot of Bible lessons already, if you're interested. But, from here on out, at least for a while, I plan to post some of the hundreds of my personal prayers. They're short, so it shouldn't take long to read. I desire for you to see my love for the Father and for Christ, and understand why I've persisted in seeking Him in a religious world that puts self-gain before truth and grace. So, please give my writings some thought. I hope you stick around. I hope you are refreshed. Likewise, feel free to leave a comment and share your thoughts and heart with me, or ask any questions. I'd love to hear from you. I wholeheartedly believe in Christ. If I have not love, I am nothing. Yes, I am a Christian. But, I'm sure that doesn't mean what you've been told it means. I know, I've been there. Please accept my sincere apologies to you, my friend, and read on. Ask, and it will be given to you. Andre asked, I responded. There many wise theologians and students of the Bible. A) is this Biblical? If so, what would it look like? B) What does the Bible mean that we should die to ourselves? 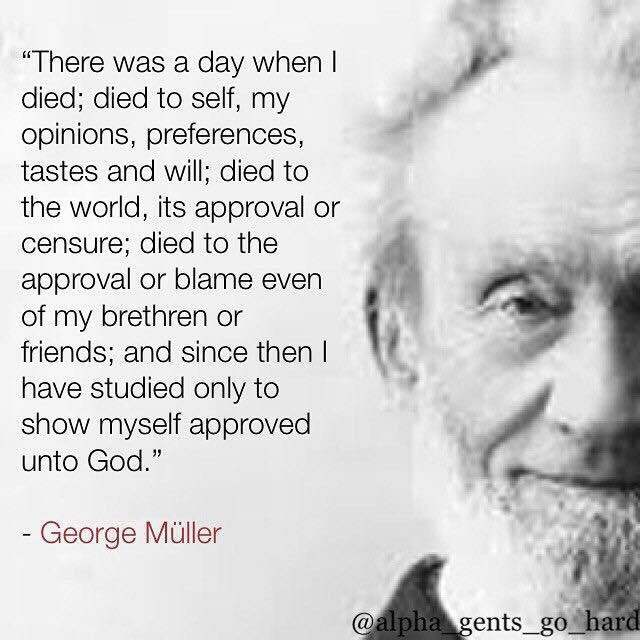 To answer your questions, Andre, A) absolutely this is Biblical, as phrases in his quote are almost exact verses from Scripture, and B) to "die to self" means is very much what George said, which is to quit living for yourself. But, this is only half the teaching in Scripture. The other half, the better half, is to "live to God." It's equally important to understand what that means, otherwise we'll be in danger of trying to become righteous by modifying our behavior. Salvation is not about behavior modification, nor is it merely an emotional response. It's not about sacrifice, it's about humility. It's not about becoming righteous, it's about taking on His righteousness and growing in grace. "It is by grace you have been saved through faith, and this is not of yourselves, it is the gift of God, not of works, so that no one can boast." (Eph 2:8-9) Now that you're saved, grow in grace and in the knowledge of the truth. It's not about your plans for success, or about worldly roles. It is about His will for your eternal life (John 17:3) and confirming to the image of His Son. Jesus died for a miraculous reason, only part of it was for your salvation. The other part is the second half of 1 Tim 2:4 which says, "[God] who desires all people to be saved (first desire) and to come to the full knowledge of the truth (second desire)." Here are a few Scripture references for George's quote: John 14:20; Col 3:1-3; 2 Cor 5:14-15, 17; Romans 6:7-8, 11; 2 Tim 2:15). However, I do not agree with His conclusions. Once he discovered that God had a plan for church-age believers, he failed to elaborate on that plan; what is the mystery, the secret and hidden wisdom of God, which God decreed before for the ages for our glory. Dwight, I am very grateful for your helpful explanation. But where does enjoying what God created and is lawful come in? Like giving us a huge variety of delicious food to eat, having a great beer, sexual intimacy with your wife? What I mean is, dying to self means not caring about yourself? I will embark on a study based on your post. Thank you for taking the time! Excellent questions, Andre. That's why you can't do one without the other. You must have the living part to even be motivated for the dying part. Dying is not fun. But, as the saying goes, some things are worth dying for, yet not literally! Since you brought it up, let's use the marriage and intimacy analogy. I love it! Would you agree there are phases of you getting to know your wife and being closer to her, and she to you? Of course! But, it didn't start out that way, did it? There was probably a time you didn't know her well at all, or at least not as well as you thought. You may have dated other girls beforehand. But they became less interesting to you as you got to know your future wife better. Eventually, you knew her, and cared for her, well enough to decide to commit to an exclusive relationship with her. The wedding ceremony is kind of like baptism; it's an outward sign and celebration of this inward commitment you already felt in your heart. You were a little nervous, perhaps, and knew you didn't know all that the future held you two. What you felt in your heart can be likened to salvation. That's the part where you believed in God's solution to condemnation and trusted in the righteous work of His Son. Likewise, you believed in your wife before the wedding, more likely the engagement. The wedding, the baptism, was what made the belief, the engagement, magical event, and a sheer delight. Around this time, you may have acknowledged other women as beautiful and attractive. But you knew this one was special. You had wonderful hope for your future together. You trusted she was worth exploring. To trust, you had to be a bit humble. Through humility, intimacy could grow between the two of you. You may have had second or third doubts about your decision and commitment, but you stuck with it. You may have been tempted with an emotional affair, but you come back to your wife, recommitted, having faith, humble, trusting. Sanctification with God is like that. Salvation, like the wedding, is behind you. You didn't have to know everything to be saved, just like you didn't have to know everything about your wife to get married. Your wedding is in the past, just as your salvation is in the past. God is now 100% responsible for your soul. You can rest and be assured in that. You don't continue to become saved, you are already saved. In the same way, you don't live with your wife trying to relive the wedding over and over. Sure, you want to keep the relationship magical. But, over the years, magic is produced in different ways, more meaningful ways, ways others probably wouldn't understand. It's only gotten better. You've experienced profound things together, laughter, adventure, boredom, arguments, making up. You've discovered each other's vulnerability, grew in deeper appreciation, and that brought greater maturity and understanding. Now, after years and years of marriage, ups and downs and up again, you're at a point where the thought of being with another woman doesn't enter your mind beyond a fleeting moment before it's brushed away as silly and irrelevant. You know where your heart belongs. In fact, your heart would feel ripped to shreds if anything took that away. Self was what you wanted long ago when you first dated.Dying to self would be impossible by itself. But when presented with the chance to live, love and cherish your wife, the self melted away. It died a quiet death. You didn't have to shove it in the coffin. For the desires of your heart were before your eyes, and the will to live for her consumed you, willingly, delightfully. Therefore, delight in the wife of your heart. Enjoy each other. Enjoy all creation, for He has created these things for good. But also know Him. "Delight in Him and he will give you the desires of your heart." (Psalm 37:4) Dying to self is not a burden when we experience the profound joy of the fullness of Him who died for us. He wants the desires of your heart to be for Him, above everything else. Seek Him, both of you, and He will become the desire of your heart (singular because the two have become one flesh). His love goes beyond all that we could think, ask or imagine (Eph 3:14-21). May the joy and peace of the Lord be with you always! It's amazing, and sad, how the teachings of the traditions of people as doctrine has kept people away from Jesus Christ. Many are offended at the mere mention of His name because loud, religious, arrogant hypocrites claim to have equal authority (implicitly or explicitly) as God and impose all sorts of rules and requirements for behavior modification and blind submission to that false authority. Yet, Christ went all out to completely remove the barrier of personal sins from reconciliation with the Father, and the Father was completely satisfied with that work. If people would humbly give Christ a chance apart from rituals and sacrifices, maybe they would see the beauty, patience, loving care, mercy, and grace of a Person who wants nothing more than to have intimate fellowship with them. Maybe then they would believe, trust, and learn from Him in the Scriptures, and know real love and truth for the first time. Gorgeous view of the bay near sunset from Route 64 bridge heading west toward home from Nags Head, NC, where I spent the day with my friend Steve and his family. Wonderful time. Lovely family. Good man. Beautiful scenery, too. Reminds me of freedom. In this case, freedom from a huge, deceptive lie. The yoke of slavery was not slapped around my neck and bolted while I was distracted or unconscious. Rather, I walked in to a popular outlet that sold them for a tithe, eyes wide open, and admired their sturdy, aromatic, and decorative qualities. I thought it would be good to wear one and it would look good on me, or I in it. So I slipped it on. At first, I took it off and put it on as the mood fit. Eventually, I wore it all the time, even sleeping with it on. After a while, however, something didn't seem right. Its qualities I once admired, I noticed, were merely external. I wasn't becoming sturdier. I was starting to look like a hypocrite to those who knew me, including myself. In addition, it was feeling tighter, even if only in my mind. When I went to adjust it, I noticed it was stuck. It had fused with the skin of my neck. I had to make a choice. Would I scrub it off by the washing of water with the Word? Or would I try to ignore the discomfort, think of something else, busy myself with rituals, and get used to it? I knew the former choice would be a path of pain and suffering before it got better. It might even leave scars. Likely so, but still I clung to the hope of it getting better. I knew the latter choice would be torture. I couldn't pretend my heart matched the appearance or ever would. I was no longer motivated to fit in. Besides, I couldn't ignore the slow tightening of the yoke like a noose; it would eventually strangle me. Freedom came with a fight. For some battles, I'm sorry. I didn't mean to hurt you in the separation process. I was wielding weapons of warfare I hadn't yet been trained to use. I was cocky as a toddler with a red cape and a pencil-sword. And just as annoying. Eventually, I acknowledged the fight was inward, not external. I wasn't going to be able to release the yoke by yanking and criticizing it. Nor was I wrestling with the flesh and blood of those who sold it. I became more focused on fighting the good fight, contending for the faith in my own mind and heart. The Word of God would provide the armor I needed for the real battle. As I focused, new skin on my neck provided healing from the inside out, becoming transformed by the renewal of my mind and heart. The yoke lost its grip as I shed the old layers of lifeless cells. One day, it just slipped off and fell. My yanking it was only counter-productive; a lesson I had to learn. I stared at the crumpled yoke, with its claw marks and stains of dried blood lying in a heap at my feet, wondering why I ever admired it. Then I looked up to the heavens and smiled, recognizing the Word coming alive within me. Healing and transformation had come as I humbly abided in Him. Not to impress, for that was the lie. Not to judge others or be judged by others, for that was the deception. But to know the truth. The Son had set me free and I was free indeed. In God's eyes, it is not behavior that condemns a person. Condemnation is the judgment declared by God for the trespass of one man, Adam. The rest of us were born condemned; God established that as well. Condemnation is not, and cannot be, the result of personal sin, bad choices, disagreeable lifestyles, or immoral behavior any more than one can decide whether or not to be born. Justification, on the other hand, is declared by God to be the righteousness available to us because of the righteous deeds of another man, Jesus Christ, who was not "born of Adam," and, therefore, was not born condemned. Justification is not, and cannot be, the result of moral behavior, good choices (except one*), decent living, loving others, judging others, or hating sin. * What is the one "good choice?" God declared a simple solution to go from condemnation to justification; believe in His only Son, Jesus Christ, and you will be saved. That's it; choose to believe, which means to trust Him for your soul's salvation. Humbly turn the responsibility over to Him and rest in Him. Adam did what he did on his own free will, and yet we all are paying the price. In him, we were all born condemned. No one is better than anyone else or has any advantage. This is death, which is separation from God. 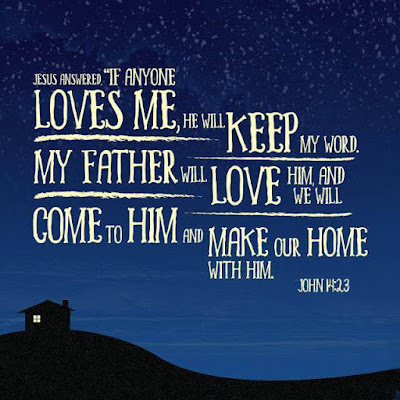 Christ also did what He did on His own free will, and now we can all share in His Sonship. In Him, we can be born again to justification. No one is disqualified because of what they did or did not do; anyone can be saved. This is life, the new life, which is reconciliation to God. Don't reject Him because of what arrogant people say and do. Accept His pure love, motivation, mercy and grace because of what He has said and done for you. Trust Him for the salvation of your soul. It's your choice to accept His offer. You'll be glad you did. If you are already condemned at birth, how do you earn condemnation? Can you become more condemned? If you have a sin nature because you were born in sin, how do you earn that sin nature from the sins you personally commit? It would be like earning a heart after you are born; it's there because you were born with it. You deserve a beating heart because it's a part of who you are. Likewise, you cannot do anything righteous because that is NOT who you are. That is a gift of God, not of works, so that no one may boast. Absolutely, you are responsible for your own sin. But in Romans 5:12, "All sinned" is not separate or new information than 5:18; the point Paul is making is that sin came into the world and was spread to all people through one man, Adam. Another way to say the same thing is condemnation came into the world and was imputed to all people through one man, Adam. What then would be the difference between sinning before one is saved and after one is saved? Do both condemn a person? No, absolutely not if one is justified in Christ. Does it condemn a person who is not justified? No, absolutely not, because they are already condemned. No one earns salvation. Can anyone reduce their sinning enough so that God would say, "Okay, that's good enough. You're saved." Likewise, can one increase their sin enough to become condemned? What if a person born in Adam never sinned? Hypothetical, yes, but they would still be just as condemned. Besides, lost and saved alike both sin. Those don't change your status of saved or lost. Both condemnation and justification are on God's terms, not ours. If God declares it in His word, it must be so. 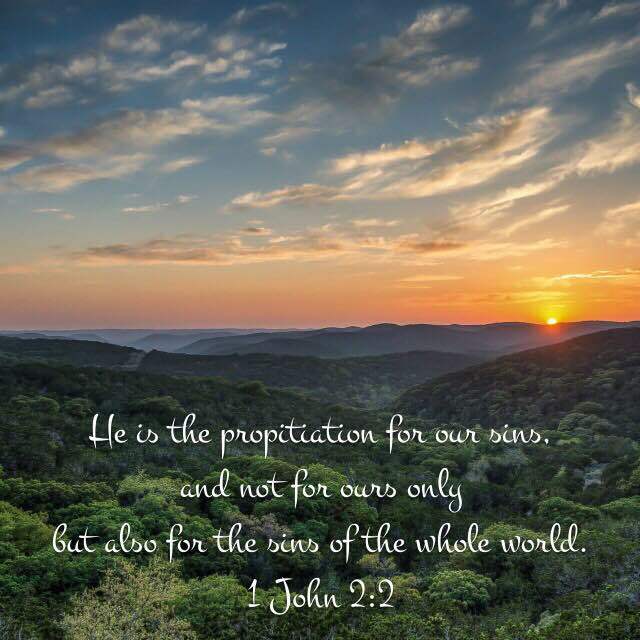 Christ already paid the full price for everyone's sins because "He is the propitiation for our sins, but not for ours only but for the sins of the whole world" (1 John 2:2). 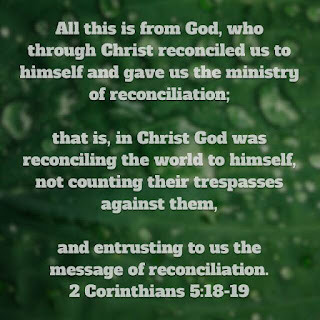 And He, in Christ, is "reconciling the world to Himself, not counting man's trespassing against them" (2 Cor 5:19). 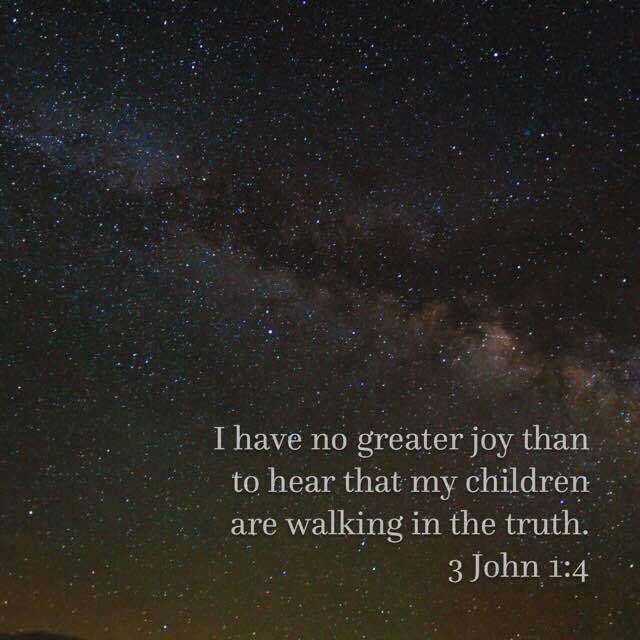 For a long time, I certainly didn't "walk in the truth." Not even near it. I didn't know what the truth was, or why I should care. I was occasionally curious enough to extend some sort of effort to find out. But mostly not. Was truth even knowable? If so, who was closest to finding out? Scientists? Philosophers? The classical writers? Ancient civilizations? Religious leaders? Seminary scholars? Spiritual gurus? Mom? Dad? Maybe truth wasn't knowable, even though it sometimes tugged on me hard enough that I'd slip into its pursuit. Maybe it wasn't even relevant to life. So what if I found truth? What would I do with it? Would anyone believe me? Then one day my older brother shipped to boot camp in preparation for his Navy career. I was given a small box of stuff he brought with him, but couldn't keep while there. One of its content items was a Bible. Curious, I picked it up and started reading it, randomly. The book of Proverbs was particularly interesting, very interesting. In fact, at times I felt Someone had been watching me over my shoulder, and they knew me better than I knew myself. Where did such wisdom come from?! I opened other books within its covers and had two thoughts as I read: 1) this was incredibly profound, and 2) this was incredibly confusing. I'd have to come back to this, but for now I had young adult issues to deal with. Discovering truth was an on/off, fair-weather friend kind of a relationship, even while at church. Fast forward to today. I know now God's Spirit, through His common grace, was convincing me that the light I was seeing at the end of proverbial tunnel was real. It's been a twisty, challenging, refreshing, gritty, painful, joyful journey coming to know God, and being saved, all the while struggling to make sense of His place in the world. Why did denominations compete? Why were there still apparently conflicting verses in Scripture? And most of all, having turned to many resources to help me understand, why did I believe what I truly believed? Was there more truth beyond the salvation of my soul and visible changes in moral behavior? Was worship more than gathering together on a weekly basis? Mostly, could I prove (to myself) from Scripture, not from among man's many interpretations, that God's word made perfect sense? It was with such gladness in my heart that I discovered the positive answers to those questions, especially the latter. Then I recognized my salvation, as great as it was, was merely a door. Far more truths, deeper truths, were awaiting me inside its warm walls and cathedral ceilings. God's Spirit Himself would guide me into many rooms, and the whole structure would glory in its exquisite details. I stood at the threshold of a gorgeous mansion when I realized I was neither visitor nor guest. I was home. My heart rejoices greatly. And now it brings me such joy to hear when others have gone beyond the threshold and into the mansion, walking in the light as He is in the light. Walking as One in the Spirit. Sometimes, I just delight in Him. I'm not sure how to describe it. It's like my mind and heart are in harmonious contemplation of His words and His thoughts, and they are so soothing, comforting, and encouraging. Most of all, I delight in knowing these are His words and His thoughts. To me, what this world has to offer is ultimately trash compared to the surpassing value of knowing Christ Jesus. What are the desires of my heart? 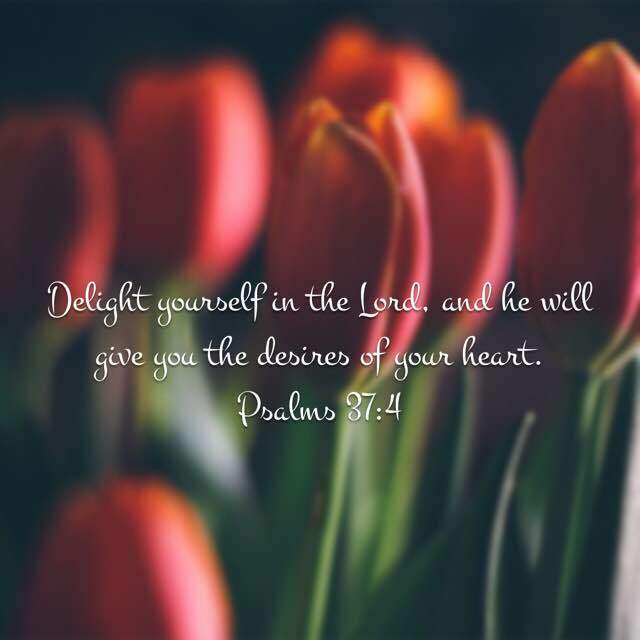 To delight in Him! 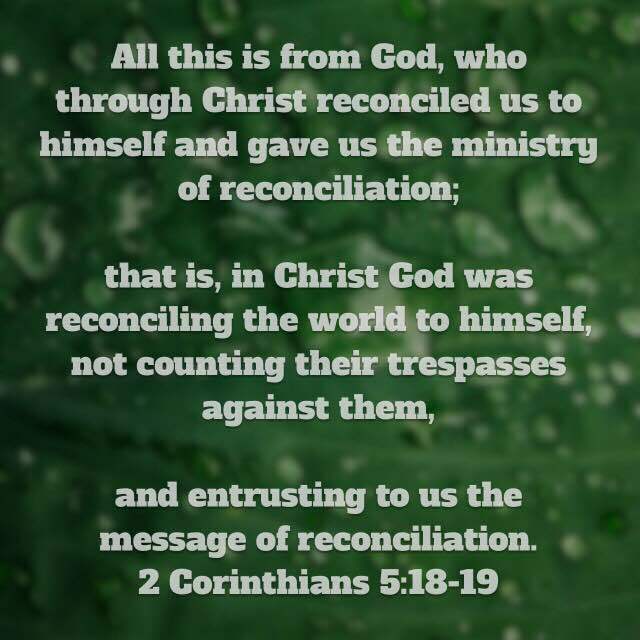 I think one of the most amazing grace salvation passages in Scripture is this: in Christ, God is reconciling the world to Himself, NOT counting their trespasses against them (2 Cor 5:19)! Along with passages like Romans 8:38-39 (nothing can separate us from the love of Christ), 1 John 2:2 (He is the propitiation for the sins of the world), and Ephesians 2:8-9 (by grace you have been saved through faith...) it contributes to the foundation of our understanding just how permanent and real salvation is. There is nothing 'right' for us to accomplish. It's not about working hard at being good enough. It's about trusting Christ did the right thing for us. In salvation, we learn to trust in His obedience to His Father, now our Father. It's about relying on His work as the only work that could ever secure our salvation. It's like spreading out your arms on a warm fall day and falling backwards into a hammock where our only response is refreshing gladness and true rest. Reconciliation with God is purely on His terms. I've learned the secret to contentment is to accept His terms. Now I make my marriage to Christ my priority. How can I help but love Someone who loves me so much He would sacrifice everything for me, even His life, and then never let me go? I'm happily married now, but I've been married and divorced before. I've been in and out of relationships that were supposed to mean something. I had issues, baggage, etc. In fact, I still use "had" lightly. Remember the other day when I admitted I made and make mistakes? Only a few were private. I've hurt people, some deeply. I'm so sorry. I've apologized to some, and don't know where to start with others. Reconciliation seems impossible. But, God took the initiative toward reconciliation with me, and with you. Could we have imagined having our many mistakes, or even blatant disregard for God, not count against us? How could this be? Isn't it all based on our behavior? Thanks be to God we don't have to prequalify! He did the work us. All He asks is that we believe in His solution for our reconciliation; the sacrifice and resurrection of His Son, Jesus Christ, whom He put forth as a propitiation for us and for our salvation. In Him, there is no condemnation, at all! 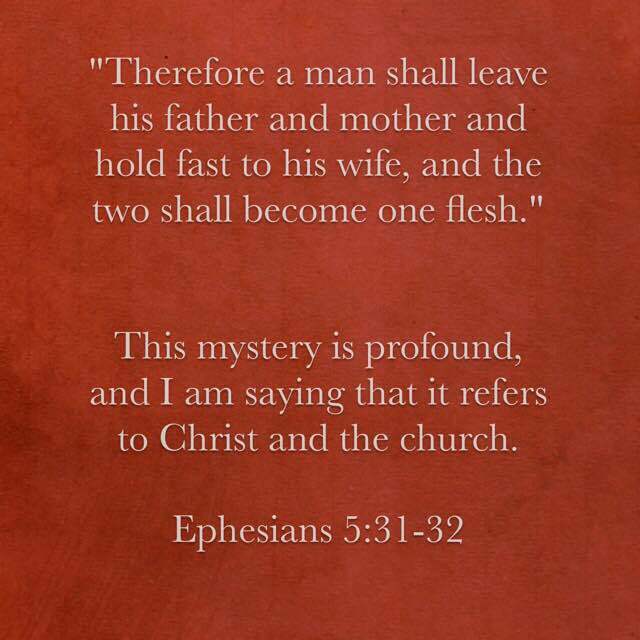 What does the "profound mystery" in Ephesians 5:32 (see Married to Christ, Part 1 of 7) mean to me? It means my suspicions as a young adult were right. God got my attention (off and on) through my circumstances growing up, even into adulthood. Somehow, I just knew, or at least hoped, that He had more to offer believers than what man's religion, traditions, rituals, humanity, and new age (sometimes "spiritual, but not religious") had to offer. Getting married to Christ means becoming one with Him, being of one mind and one spirit. What does it mean for me to love my Spouse (who is Christ) from a spiritual sense? It means getting to know Him intimately, taking His word for truth, and not trying to fit Him into my reality. What is my reward for marrying Him? Everything! Through loving Him, deep in my heart and soul, I found purpose, comfort, contentment, joy, peace, and love. So, not only does He reward those who diligently seek Him (Hebrews 11:6). Not only does He work all things for the good of those who love Him and are called according to His purpose (Romans 8:28, [which is not the prosperity gospel]). He and His Son make their home in my heart. Many marriage books, studies, videos, and seminars were built on verses in Ephesians chapter 5 starting with verse 22, "Wives, submit to your own husbands...", verse 25 "Husbands, love your wives..." Etc. How and when should wives be submissive? How are husbands supposed to love their wives? What does it mean to give himself up for her, sanctify her, and cleanse her? How should they argue and resolve differences? Who has a say, or the final say, in important family and financial matters, such as which church to attend, education for the children, caring for elderly parents, etc.? Then the analogies start in order to boost the authority of whatever anwers that particular marriage seminar, workshop, or retreat provides. Instructions about marriage become heavenly, godly, and lifted up with phrases like, "as to the Lord," "as Christ is the head of the church," "as the church submits to Christ," and "just as Christ loved the church." Pray for each other. Pray with each other. Share devotionals. Schedule date nights. Cook for the one. Pay the bills for the other. Etc. Perform your spousal roles and occasionally offer to help the other. 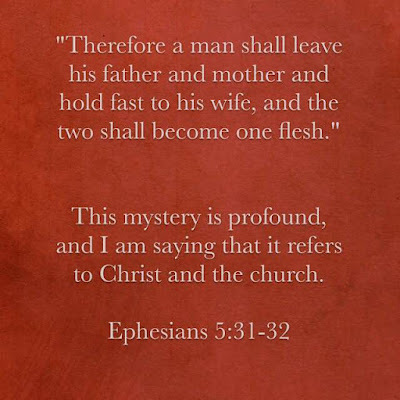 However, these verses in the context of Ephesians 5 are actually relevant for anyone, married or not. How? Simple. The marriage-seminar-minded have it backwards. Christ and the church is not the analogy for a godly marriage. The godly marriage is an analogy for Christ and the church, and being united with Christ is neither dependent nor enhanced by one's marital status. Let us not be so focused and concerned about the roles of husbands and wives. Let us not exclude ourselves or others because we or they are not married. Instead, let us turn our attention to the "profound mystery" that Paul was really talking about: Christ and the church. The two shall become one. By the way, verse 33. If you are married, let the husbands love their wives, and let the wives respect their husbands. But, let neither of them, or any of us, lose focus of what's really important here, which is the marriage that was truly made in heaven, meant for all who believe. I've made lots of mistakes in life. Hopefully, I make fewer as time goes on. Partially, because I just don't have the interest or ability to try different things as I age. But, mostly because as I walk by the Spirit I do not gratify the desires of the flesh, for these are opposed to each other (Galatians 5:16). Thank God for the Spirit He has freely given me to understand even the deep things of God (1 Corinthians 2:10-12)! Even though I may wander away from Him, or even push Him away, He is always ready, willing, and able to take me back in His loving arms. To turn back to Him takes genuine honesty and sincere humility on my part. But, He is always ready to forgive me and cleanse me from all unrighteousness, so that I may get back into fellowship with him. (1 John 1:9, 1:6-7) And that's a joyful thing! There is a unique kind of intimacy with Him that has no worldly equal. Scripture calls it fellowship, but it is not simply sharing a meal or going bowling with the guys. * It transforms the desires of my heart to delight in Him (Psalm 37:4). * Careful: neither is confessing the same as getting back into fellowship. Rather, with humility, continue to diligently seek Him. I can see now why he uses the analogy of an ideal marriage to help us understand the possibility of this relationship (Ephesians 5:31-32). Most of all, I'm so happy to know that nothing will separate me from this love. To me, there's much comfort in knowing I'll be welcomed home. All I have to do is die. No, I don't wish to hasten the journey; I've got work to do until then, good works. But, the thought of a room being prepared with love and anticipation for my arrival makes any current suffering seem like a light and momentary affliction. Moments of joy and excitement help confirm this. Fresh sheets, hospital corners turned in, spacious and decorated, natural lighting, desk, books, recliner. Those are elements of an ideal worldly home. I can't imagine what my real home will look like. Yes, obviously I believe in Christ, the Father, the Spirit, and all that. In fact, I know in my mind and heart His reality is so. His word is precious to me. It's my hope we can discuss these things one day. In the meantime, it's interesting to witness such diverse reactions to spiritual matters. Some say it's a waste of time, a joke even. Others celebrate Him, and in so many ways. Some are spiritual but not religious. Most accept what others believe, just don't push it on others or even talk about it. Personally, being a Christian means everything to me. But, I hesitate to use that label. Not that I'm ashamed to believe, but I know the term is so misunderstood, even among Christians. "You keep using that word. I do not think it means what you think it means." (Princess Bride) I wish I could explain what it means to me. There were times in my life when I'd ask about life, to myself, books, or others. "What does this all mean? Why am I here? Is this life totally random, completely orchestrated down to the most minute detail, or somewhere in between?" I discovered more sound answers in Scripture, God's word, the Holy Bible, than anywhere else. But to do so, I had to learn to tune out "religious" people. Many hunger for authority and self-righteousness, and will gladly jump to false conclusions to get it. They turn me off. Jesus hated them. I love Jesus. His words are precious to me. 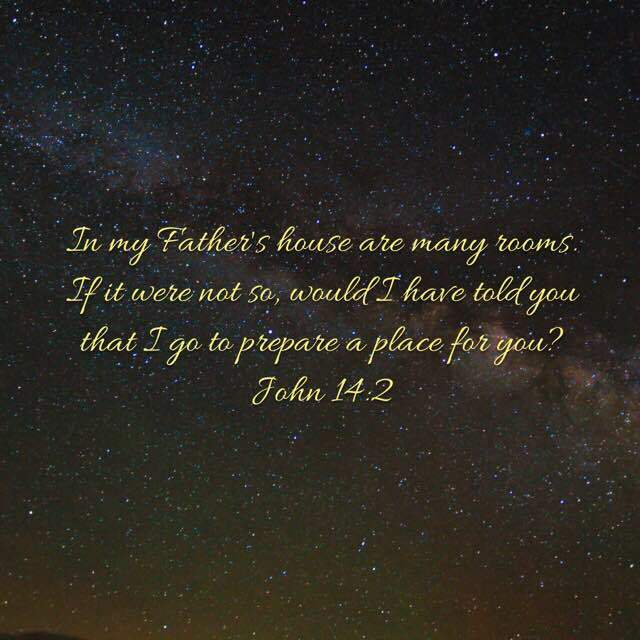 And if He says He went to prepare a place for me, I believe it. Totally. No, He would not have said it otherwise. And if you are one of the few who believe, rest. To be absent from the body is to be present with Christ. Be assured no rooms will go unoccupied. We have a home and this temporary residence, this tent, ain't it. We are sojourners in a foreign land, citizens of heaven. Here, on this battlefield, we fight the good fight, contending for the faith, but not against flesh and blood. The enemy is full of lies, distractions and deception, in which so many are ensnared. We should let ourselves be transformed by the renewal of our minds from His word. His word is truth. This is how we know, in our hearts, our destiny is true. And we do it out of love, such is pure motivation. We love because He first loved us. We love His thoughts. We love what He has revealed to us, made of us, freely given us. Let us, therefore, love one another. Peace! What is Your "Why?" How is Your "Who?" Where is Your "When?" The answers to these questions are significant to living your fullest. In a huge way, they contribute to defining what "living your fullest" means to you. Here are the 3 questions I like to combine to begin* giving the clearest vision for finding, and living, your purpose in life. To round it out, ask yourself these questions, not once, not twice, but at least 3 to 5 times. Depth is amazing; so dive in! * I say "begin" because in your journey through life, there are other major contributions to living with purpose. Expect to continue refining your vision and mission, receiving and implementing feedback, and adjusting your walk based on experience and knowledge. What do those questions mean? What is your "Why?" creates a clear assertion you proclaim to yourself, and others as necessary, as the reason why you live. It is the discovery of God's will for your life on earth. As you read and assimilate God's word, what stirs in your heart to the point of moving your feet? Thoughts in relation to others, lost or saved, and that begin with "I would love to..." can provide excellent insight into aligning your purpose with God's eternal plan. In what way would you be inclined to come alongside others just as Christ came alongside you and is indeed in you? Answer "Why?" until you know it by heart, and then live by heart. How is your "Who?" gives you an honest assessment of the welfare of the very people you intend to serve by providing the most value to the quality of their lives. We know the only word of God can truly transform a person. We know He sends His Spirit to meet a person wherever they are in life. (They don't have to pre-qualify to receive the love of Christ.) We also know He loves them too much to leave them where they are. Are you prepared to meet others where they are in life? Do you have a heart or yearning for people in, or from, particular circumstances? 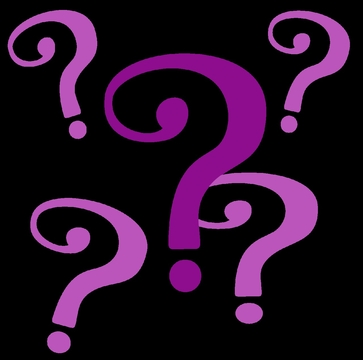 What are their situations and attitudes now, and where do you want to help them go and grow? We know God gives the growth. How much are you willing to sacrifice in order to plant or water? How can you make yourself more receptive to them to increase your influence for their good? Are you really listening to understand their pain, security, and struggles? Where is your "When?" locates your time for these resulting, purposeful tasks. It is the act of transforming your intangible dreams into tangible goals. It is living on purpose. We all have something we want to do someday. But what can you do today that will move you in the direction of your purpose and goals? What about this week? This month? If you're like me, tools for writing down and scheduling goals come in so handy; calendars, reminders, smart phone apps, to do lists, etc. Where can you store this information about your purpose and goals so they are readily available, and perhaps even alert you when things need to be done? What tools and methods works best for you? Use them wisely. Living your purpose on purpose should be both challenging and rewarding. Helping others makes the hard work of getting clarity of purpose, sacrificing personally, and absorbing life experiences all worthwhile. Learn to welcome the challenge of understanding your purpose; what it is, who it serves, and when you can live it out. Engaging with a Christian Life Coach can help you through this discovery process to maximize the value you can contribute as God's servant-leader. Note: No doubt, you will have to put something else off in order to address these questions properly. You might as well decide right here and now what is less important than finding out what "living your fullest" means. You don't have to answer the questions right now; you can if you want. But, at least start thinking about how you can make time to do so. Ask yourself, "What lies cold and empty inside you, like a worthless habit, that you can readily give up in order to stoke the coals that would set your soul on fire for God?" Block time in your hectic schedule and get ready for some profound discovery! It is well-worth it because you are well worth it. Think of it as others unwittingly waiting for you to discover your purpose so you can positively impact their lives. As always, in prayer with faith, in your words with action, seek God's righteousness first (Matthew 6:33), be transformed by the renewal of your mind, and do not be conformed to the patterns of this world (Romans 12:2). God bless you and others who will be blessed through your choice to live on purpose. Amen! No, I haven't completely forgotten what it was like to be a kid. For example, I remember quite well I loved pretending in miniature. Just about any prop worked to enhance the experience: G.I. Joe, Lionel Trains, and Matchbox Cars, were my brand-name favorites. Did you ever have one of those mini single seat cars, with the pedals that go back and forth for awesome power, and it actually steered? I might be showing my age, but mine was almost entirely metal. The only plastic was the little red hub cap covering the nut and bolt on the ends of each axle. Pretend play was fun, even if it merely mimicked real life scenarios. A journey to my neighbors, three houses down the block, in a suburb where houses were about 50 feet from each other, was a trip worth repeating four to six times in this mini-car. Gliding along the sidewalk was even better if someone pushed fast! I'm positive the pedals had a built-in speed control that would jam if you tried to pedal too quickly, like opposing keys on a manual typewriter from the 70's. But, tell me to get in a real car because we're going on a real journey, and I'd run to hide in the closet quicker than a parent can ask, "Anybody have to 'go' before we go?" Yes, I understand sometimes we have to get in the passenger seat of life, willingly or carried. But, if I have the option, I'll drive. I like to be in control of the vehicle, the chosen route, and my destiny, as much as I am motivated and able. Today, (many) years later, I'm reminded of this childhood example, car rides, in regard to my spiritual walk. I have a heart to diligently seek God, know Christ, understand grace, truth, faith, and His eternal plan for His church, the body of Christ. I don't wish to simply hand the reigns over to someone with worldly credentials who purports to be a spiritual authority, declaring, "I'm an excellent driver." To me, it ultimately doesn't matter if they have a masters or doctorate degree in divinity, if they're in a denomination well established by solid church history, if they're intelligent scholars, best-selling Christian authors, charismatic crowd-pleasing orators, outspoken evangelists (dead or alive), if they have a heart-wrenching ministry, are well-dressed and highly moral, live in an exclusive secret society, or if they just love everybody all the time. No, I'm convinced there is a higher purpose for God's word, the revelation of His eternal plan, and that we can and should know His will (Romans 12:2~). Only then will I know what "good works" are that He "prepared beforehand, that we should walk in them" (Ephesians 2:10, following Ephesians 2:8-9~~). No, I'm not going to simply hand over the reigns with something as precious as my soul. I believe God exists and rewards those who diligently seek Him (Hebrews 11:6~~~). I believe this pleases Him as much as it delights me (Psalm 37:4*). Definitely, there are eternal rewards. But, there are also rewards for here and now, such as rest for my soul, peace in my bones, contentment in my mind, joy in my heart, and (let the reader really get this point ...) growing into the fullness of Him who is the head, into Christ (Ephesians 4:11-16**). Those rewards, both eternal and present, are compromised, big time, when I let someone do the seeking for me. As a result, my "good works" may even be burned to a crisp (1 Corinthians 3:10b-15***). Yes, I found an excellent pastor/teacher who teaches from Scripture. But I show up, listen carefully and thoughtfully, follow up with private study and prayer, and carefully test his teachings against the Scriptures (Acts 17:11****). The idea is that learning from Scripture is so much better than learning from Religion. In the days Jesus walked the earth, religious leaders were constantly trying to trap Him in His words and even kill Him. In fact, many religious leaders today, and throughout history, are trying to do the same thing by twisting Scripture and suppressing the truth. So, I assert Religion is the antithesis to understanding God's thoughts and ways (Isaiah 55:8-9*****). But instead of running away from the Bible, I went deeper, essentially ignoring what religion had to say. Now, I'm getting, and have been getting for a few years, a lot of spiritual growth and enjoyment out of the study of Scripture. And even that's saying it lightly; I frankly didn't know it was possible at first. I merely hung on to the hope the Scriptures were all true, and what religions were saying about it was false. That humble attitude was eventually rewarded. How great are the rewards from God! 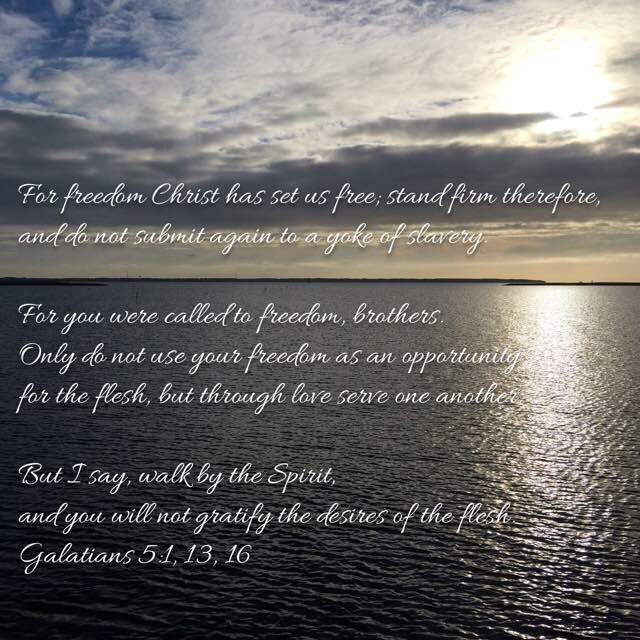 Previously, in attending a few mainstream religious churches, I was preoccupied with behavior modification, often having to wonder about and even maintain my salvation instead of using my freedom in Christ to grow in grace and in the knowledge of the truth. I got involved in humanitarian efforts in one place, which felt good to my soul, and religious tradition at another, which satisfied my self-righteous mind. Neither shed much light, if any, on what God "decreed before the ages for our glory" (1 Corinthians 2:7+). Now, although I'm in North Carolina and "attend" by conference call, I study with a small home-church based in New Jersey, where we are "serious students of God's word, the Bible." Are we arrogant making a claim like that? Am I arrogant for bringing it up? You would think so, especially when I don't follow the norm of studying famous theologians, charismatic evangelists, seminary professors, best selling devotionals, common commentaries, larger and shorter catechisms, published confessions of faith, popular and wealthy congregations, or prioritizing involvement in just any local church family. On the other hand, perhaps you see what I mean when you read that list and compare them to your own experiences. Rather, as I've studied His eternal word and His eternal plan, I've come to realize what He really means by "good works" (2 Timothy 3:16-17++) and how to get there (2 Timothy 2:15+++). Maybe you get my point, and maybe you don't. This isn't private interpretation in isolation where we make the word mean whatever we want; we take His word for it. We clearly see in the world that our sort of study and reliance on God's word is very uncommon. We also see the common mistakes, hypocrisy, and arrogance that result from following the world's ways of religion. I wouldn't trade this intense focus on the word of God for anything in the world, especially man's religion. I was more intentional about making this interactive and it went very well. Please take your time to consider these questions thoroughly and look beyond what you think you already know. Ask for the Holy Spirit to guide you through this spiritual information. 1. In verses John 16:12-15, what is the role-name of the Holy Spirit in John 16? Why is this role assigned to Him? What does this mean for those who are saved? When did get this role? How can we benefit? 3. 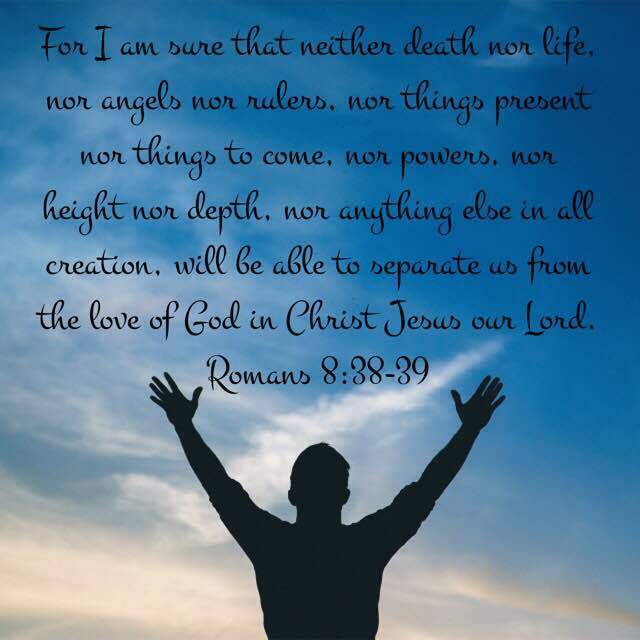 What does it take to be saved according to Ephesians 2:8-9 & John 3:16-18? Is that it? Are you sure? How can we know? What about lifestyles and heinous sins? Do these have to change first before one can be saved, or at the same time that salvation occurs? In fact, is salvation a process or a moment? Why? It's likely we'll be out of time before we get to all the questions above. But that should not thwart us from diligently and humbly seeking Him on our own, between lessons. We should consider going deep and exhausting these doctrines until we see God leaves no wiggle room. His way cannot be one way for some people and other ways for other people. 1. Who has or who can do right by God before salvation, to find favor with Him? 2. Where should we go and with what attitude(s) to discover His grace and truth? 3. Why can't we just settle into a nice church family and let that suffice? What if you're deployed or away on business and there is no local church family?